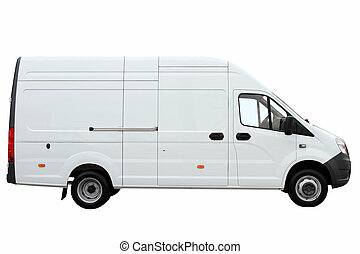 Big white cargo van isolated. 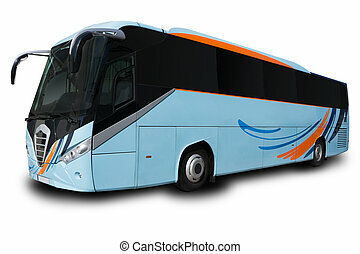 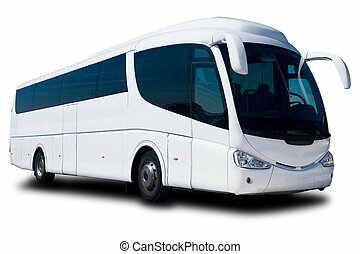 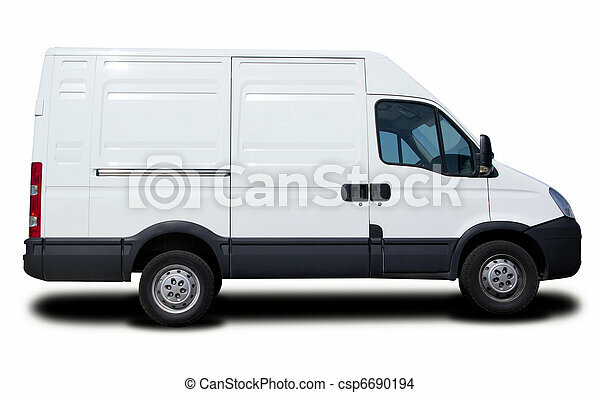 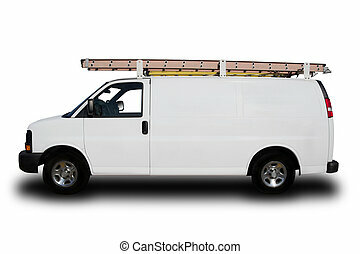 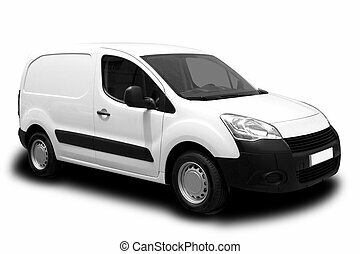 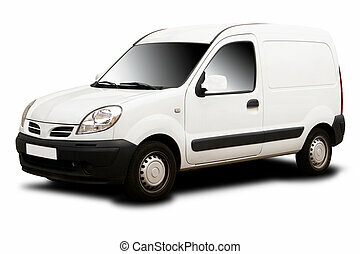 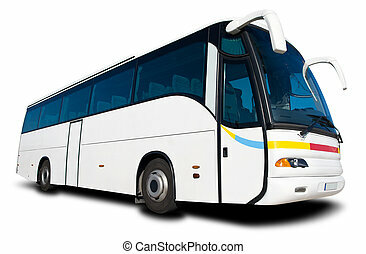 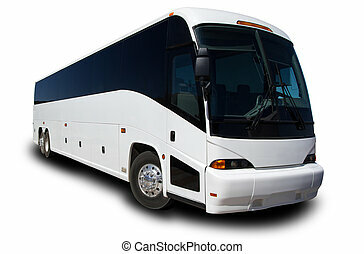 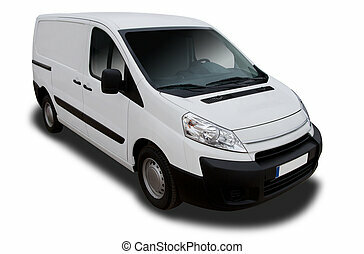 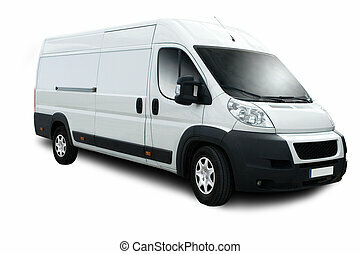 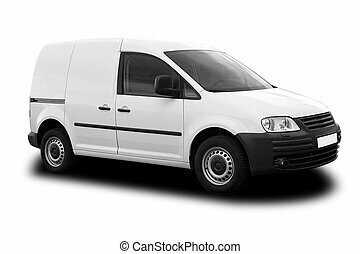 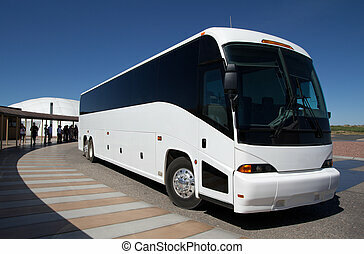 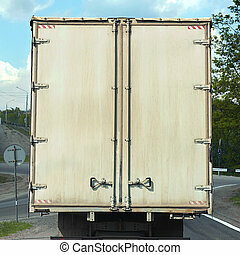 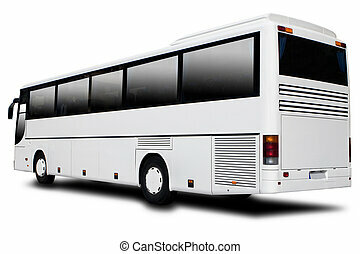 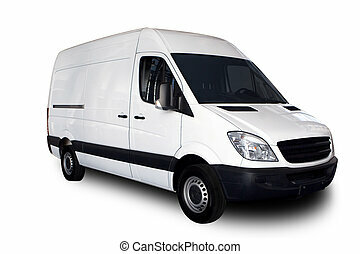 Modern cargo van, isolated on a white background. 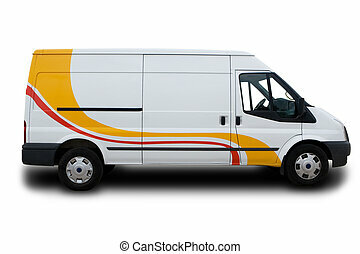 Large Heavy Duty Cargo Van Loading by Men in Yellow Helmet. 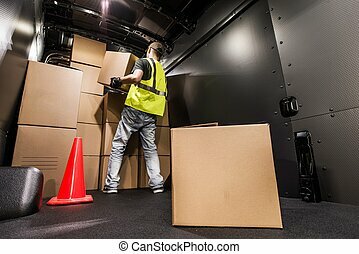 Shipping and Logistics Theme. 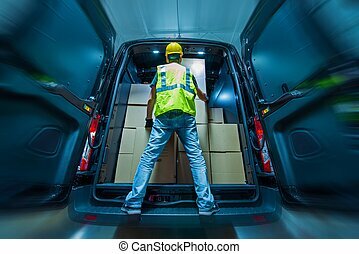 Cargo Van Loading by Worker. 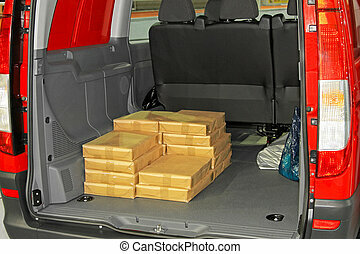 Man Carrying Boxes In the Cargo Van For Customer Delivery. 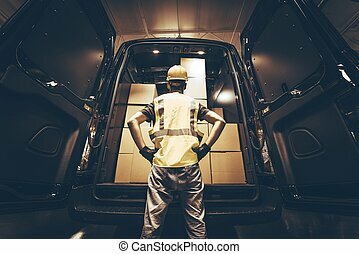 Shipment Preparation and Processing. 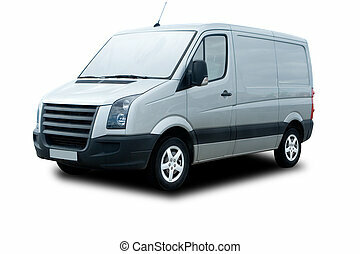 Cargo Van Driving Concept. 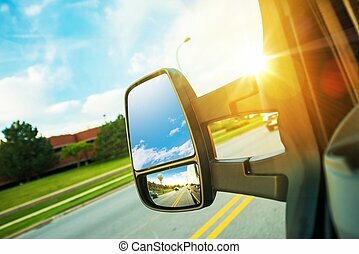 Large Cargo Van Mirror. 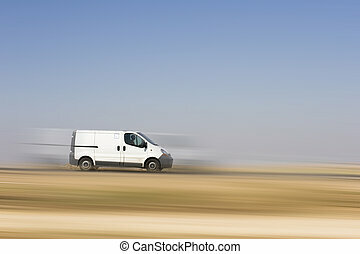 Van in Motion.